Erez Edelstein is the new coach of Maccabi Tel Aviv, as the club announced. The 54 years old coach of the Israeli national team will sit also on the bench of the house’s basketball powerhouse. As he said: “I am excited to join Maccabi Tel Aviv, and I am committed to the success of the club. It is a tremendous honor for me to join the list of great coaches that led Maccabi to the highest national and international level. During the last day I received tremendous support and amazing response from all sides, and I’m excited and ready for the mission”. 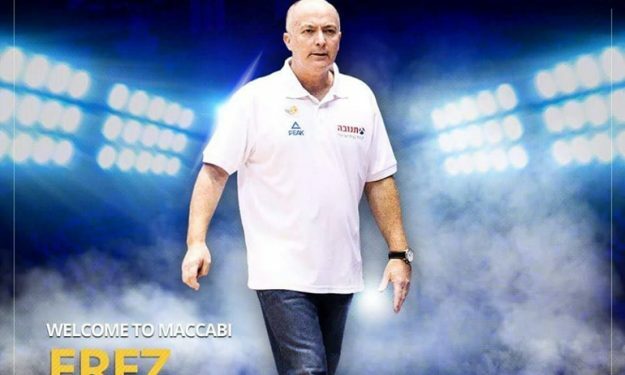 Maccabi’s president Shimon Mizrahi added: “We are proud to start in a new path. We entrust the team to loyal and professional hands and we are convinced that Erez will lead us to heights we are used to”. Edelstein grew up and played for Hapoel Afula Afula youth teams. He was an assistant of Pini Gershon in Hapoel Jerusalem and Olympiacos. He was head coach for Hapoel Herzliya, Galilee, Maccabi Ramat Gan, Hapoel Jerusalem, Hapoel Tel Aviv and has a 150-118 record in the top league. Since 2014 he is also the national team coach of Israel.